I was skimming through some game design forums one day when I noticed something really exciting. This was so cool to me because collectible card games (CCGs) have been a big part of my life. Along with the fact that I see virtual reality (VR) becoming a huge opportunity for game designers within the next several years. Since I love learning new game design skills, I immediately sent today’s guest a message asking him to do an interview. Specifically I wanted to learn more about how to make a virtual reality card game, so that is what this interview focuses on. Or subscribe to the Youtube channel to see cool videos like this Manastorm trailer. 1. Can You tell us how to make a virtual reality card game like Manastorm? First, I created the game in Unity. It’s free and a great tool. Then I imported the Virtual Reality Toolkit to build it as a VR game and released the Beta on Steam. Valve is a great company that is very helpful for new developers, especially when they’re working in the VR space. The reason behind wanting to make this game is I really wanted a game where I play a card and see that card turn into the thing that it says it is. There are a couple of VR card games already out there. What makes Manastorm unique were some specific decisions behind where the player is positioned and how to interact with the environment. I decided to put the player down on the battlefield so that you get a true sense of scale and immersion. I decided to use the throwing mechanism as the means to play cards. You would pick up a card, examine it, and then throw it into the battle field to put the card into play. People tend to like to throw things in VR so I thought this was a cool mechanic. 2. How many hours have you spent creating Manastorm? At the time of launching the game I had about 250 hours invested into it. It sounds like a lot but pretty easy if you’re excited to do it and have no other responsibilities. We’re talking 6 hours every evening after work and pulling all nighters on weekends, for a couple months. 3. What are several of the most difficult parts about creating a VR card game? The most difficult part about doing a card game in VR, or just in 3D in general is that for every card in your library you need a 3D model with fully rigged animations. This is becoming a concern as I expand the game because it becomes quite costly. Another struggle with doing this in VR was the input controls and user interface (UI). Being able to select friendly minions and tell them which targets to attack. 4. The skillful combat player actions (blocking with a shield and shooting arrows) look really fun. What other cool features do you plan to add to the game before full release? You can also cast energy beams from your hand and I want to exploit that mechanic more. I plan to add new beam types (ice to freeze enemies) as well as different arrow types. I think I’d like to add a sword for short range attacks, such as attacking a minion when it chooses to go face (attack the player’s hero). The idea of carrying glass bottles filled with potions interested me as well. 5. Are there any major complaints from playtesters about this game in early access? There were some bugs at launch which were uncovered quick, so thanks go out to the community for reporting them. I was able to push an update relatively quickly to take care of them. People’s bows kept getting stuck to the ground. That one sucked. I still can’t reproduce it but I was able to work around it. I’m really fortunate that all the complaints are nested under a statement of “this game is awesome” so my feelings haven’t been hurt yet. The number one complaint is the lack of cards in the library. At launch of the beta the game only had 16 cards. However next week an update is being released which expands the card library and includes some much needed effects cards. The lack of multiplayer isn’t a complaint yet but something the game sorely needs. I will be focusing on this heavily after the next update. 6. How many people are on the Manastorm team? I do reach out to my CCG friends for advice and my one friend who’s super pro at C# helped me get the deck building/shuffling system working for the prototype. I’ve been speaking to a few people who might want to team up and I could use the help going forward. 7. What are the different roles of people on your team? I’m the sole developer, game designer, etc. All of the art/assets have come from the open market where I’ve purchased them. I used a base graphic for the cards and designed my own layout. Going forward I would love to have a small team where I have people who are strong at their particular roles and where I can remain on as the creative director. 8. Is there a spot on the team that is not filled that you wish you had? Yes! As mentioned above. Artists, developers, sound producers, even QA would all be welcomed. But I can’t pay you. This game has been a success in the sense that people who have played it really like it, but it doesn’t have the mass market appeal of some other VR games. I’m not making that kind of money. 9. The game is in early access right now on Steam. What are your next steps to getting the game fully released? No less than 100 cards in the library (to be continually expanded of course). Multiplayer, including persistent profiles and leaderboards. There’s a lot more I would like to see for the game but I would say that’s the minimum. 10. 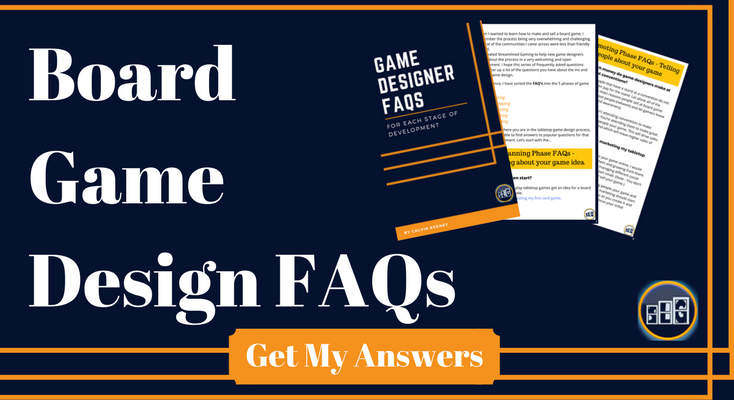 And finally, what advice do you have for physical card game designers wanting to create a VR card game? I think as a general guideline when you try to bring any concept into VR, no matter what you do you need to stay true to the tenets of VR. It’s very easy to make something that is uncomfortable and not fun to play in VR so spending some time reading about the do’s and don’ts of VR is a good investment. Have You Tried to Make a Virtual Reality Card Game? If you know any cool tips or tricks for getting started making VR card games, then let us know in the comments below. It is fun to hear from the community about different ways to express our creativity through game design.